Article: What should be on your skill transformation map? From building a learning culture to understanding the role of skill adjacency. Here's what should be on your skill transformation map. 800 million jobs are at the risk of automation by 2030, says a study by the McKinsey Institute. Just as the transformation due to industrial revolution affected agricultural societies, the disruption due to robotics and automation is going to fundamentally change the future of work. In this scenario, being future-ready also means being able to understand the roadmap for skills transformation. 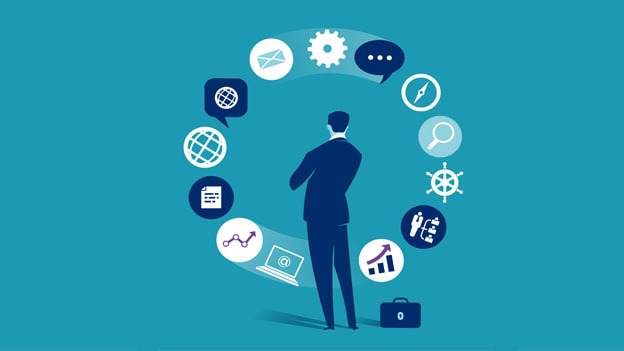 As there is an increased complexity in the roles of the future, employees are required to possess the cross-functional knowledge and the capacity to connect the dots. L&D leaders will need to empower their teams to strategize for this new reality. Identifying skill clusters and defining role architecture - Depending on your business, it is important for you to identify the broad skills that are critical to the business. It may be technical or domain skills, it may be sales. This step will help you identify the skills and keystone behaviors (which may include collaboration, managerial skills etc.,) which will help you define the role architecture. Skill adjacency - Given the variety of skills that employees need to master, it will be critical for L&D professionals who are developing learning paths to identify skills in allied IT technologies. This will help and encourage employees to build areas of expertise or learn an entirely new skill based off the knowledge they already possess. Learning alignment and methods - Identifying learning tools that are most suitable for your learner and aligning learning to business goals is another key component of the roadmap. How can you ensure that there is alignment? Design metrics and measures that are unique and necessary for the business, work on the team structure and job pyramids and ensure that there is an ongoing conversation with employees through town halls and surveys. Inculcating a learning culture - Bringing a transformative shift means that continuous learning is the norm. In order to incentivize this behavior, make sure that stories of learning and impact are a key feature of your communication. Show progress of the employees and identify role models. Fostering a learning culture also has a lasting impact on the employer brand of the company. Building for scale - In the age of personalized learning, making sure that the tools and techniques are scalable is critical to the success of the learning agenda. Stalling learning due to the lack of resources or infrastructural challenges has implications on the business readiness as well as the employee morale. With a number of options at the L&D team’s disposal, the key to success would be to curate content and programs that will accelerate your business. There are a number of technology solutions that promise continuous learning opportunities. As L&D professionals, it will be important to ensure that solutions are capable of supporting your continuous skill upgradation and the business needs of scalability. In a rapidly changing industry such as IT, this can make the difference between an opportunity lost and gained.